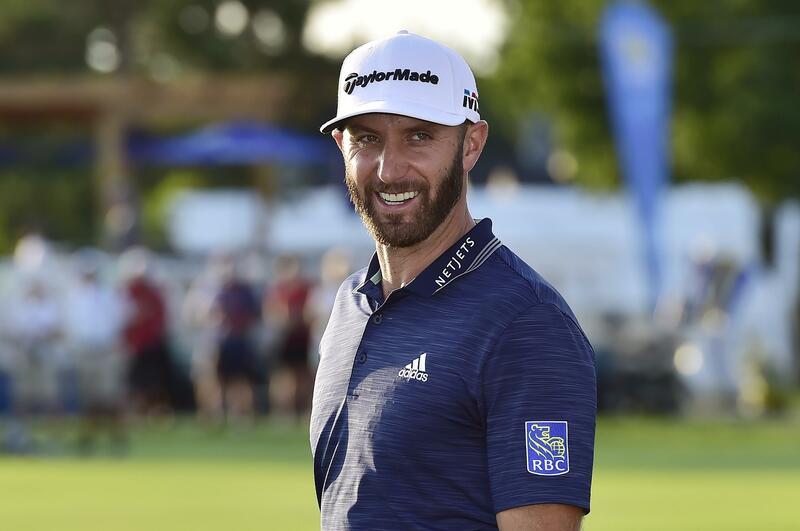 Sun., July 29, 2018, 10:50 p.m.
Dustin Johnson is used to cheers and chants of “Let’s go DJ!” But getting serenaded with “O Canada”? Johnson has a famous tie to southern Ontario, with fiancee Paulina’s father, hockey great Wayne Gretzky, from Brantford. Some fans wore Edmonton Oilers jerseys, and shouts of “Wayne!” “99!” and “Paulina!” could be heard. Top-ranked Johnson pulled away for his third victory of the season and 19th on the PGA Tour. Tied for the third-round lead with Kevin Tway, Byeong Hun An and Whee Kim, Johnson shot a 6-under 66 for a three-stroke victory over Kim and An. Johnson finished at 23-under 265, winning at Glen Abbey after finishing second in 2013 and 2016. Miguel Angel Jimenez became the first Spaniard to win the Senior British Open in St. Andrews, Scotland, edging defending champion Bernhard Langer by one shot. Moses Lake native and Pullman High School graduate Kirk Triplett finished tied for third. Langer closed with a 68. Triplett (69), Scott McCarron (68) and Stephen Ames (69) tied for third at 10 under. Ariya Jutanugarn won the Ladies Scottish Open in Gullane to return to No. 1 in the world ranking, shooting a 5-under 66 for a one-stroke victory over Minjee Lee. Jutanugarn also won the U.S. Women’s Open and Kingsmill Championship this year. Lee, from Australia, closed with a 66 in the tuneup event for the Women’s British Open next week at Royal Lytham & St. Annes. Published: July 29, 2018, 10:50 p.m.